Like most milestones in our children's lives, few skills are mastered over night. Learning to read, as is with walking or talking, is a process of starts, stops, and adjustments to the child's body of knowledge. This month through the Homeschool Review Crew we reviewed the Ultimate Phonics Reading Program from Spencer Learning. If you have a new or struggling reader in need of any kind of adjustments, this software program could be a great asset to you. Jumping around to different lessons or pages is simple. When we first got this program my son was already reading well and definitely didn’t need the first 100 lessons. So we skipped to lesson 100 and started from there. A full lesson reinforces the element in multiple ways but as we went along there were some elements where we only focused on the words or sentences. It was very easy to pick and choose only what he needed. 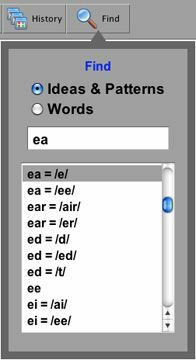 Another handy feature is the find tool where you can search for a certain word or pattern when you are in need of specific help. A nice element of this program is the different senses it can activate. For auditory, each page will be read to the student by clicking on the speaker icon or by moving the mouse over a word, which incorporates hand-eye movements and the entire exercise is a visual experience. As you can see in the pictures, this isn't a cartoon or heavy on the colorful or fun program. Instead it is a serious tool to highlight specific phonic issues and completely equip readers for all elements they will encounter. At first sight of the less than colorful landscape, I began to have reservations as to how useful this was going to be, because it just looks boring. And to be fair, if students were required to spend 30 minutes or more, most kids would drag their feet, if not go on strike. Thankfully, Spencer Learning wisely designed each lesson to take about 10 minutes. We would use it 2 or 3 times a week and that small amount of time was effective, but if a child really needed a lot of help, 10 minutes every day is totally doable! Is this a program for you? In homeschools or public classrooms, if you have struggling or new readers this would be a wise investment. ESL and Adult Literacy programs should consider this as well. If you expect to homeschool more than one child (who are at or below reading age) it could be especially wise. This program is a downloadable app that will always be yours and could be a great asset in correcting reading problems before they escalate or properly equip new readers.